If you want a durable roof that lasts, clay tile roofs may be something to look into. They withstand windy weather well and don’t expand or contract with varying humidity and temperatures. These roofs are also resistant to mold and mildew. 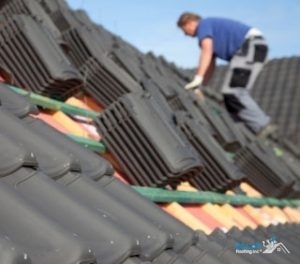 An important consideration with clay tiles is your home must be able to bear their load weight, since this roofing system is heavier than composition shingles and others. Another is cost. While clay tiles have many benefits, they are a costlier roofing material. You may be better off with concrete tiles or imitation tiles, which look the same at a fraction of the cost. Eclat Roofing is a leader in Dallas, TX clay tile roofs! We have spent over 15 years in the residential roofing business, bringing many roofing styles to the DFW area. Our roofing contractors stay on top of new trends and techniques in roofing to bring you the very best practices! Call us today at (214) 373-1500 for your clay tile roof installation, maintenance or repair! Our expert roofers provide the best clay tile roof repairs in DFW. We have experience working with this roofing material and know how to repair your roof safely. Promptly repairing your roof saves you money on more extensive repairs later on, which is why maintenance is also important. Living in North Texas, we experience some severe storms throughout the year, from hail to wind to snow and more. All these different weather types can take their toll on even the most durable roof. That is why maintenance is such a big component behind your roof’s durability. Routine maintenance will allow our roofing contractors to find holes and damage to your Dallas, TX clay tile roof and take care of them fast. Identifying potential problems is important in preventing full-scale roof replacements. In addition to all the above services, we also offer clay tile roof replacements and installations. Clay tile is a stylish and sought-after roofing material that comes in a variety of colors and styles. Our roofers can work with you to find the best type to match the style of your home and your specific needs. Eclat Roofing provides the best quality clay tile roofs in Dallas, TX. Call us today at (214) 373-1500 to schedule a roof repair, maintenance or replacement.